Ahh yes. 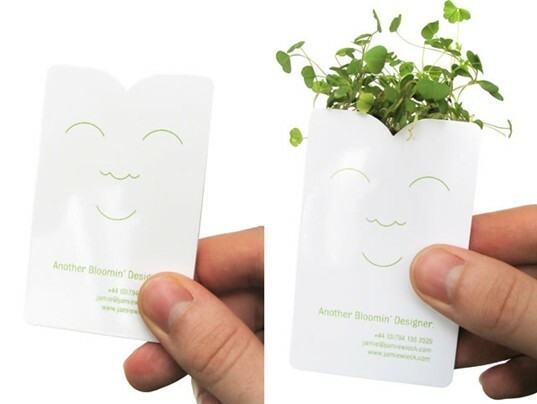 The first glimpse of information a person sees- the business card. Let’s talk about business cards for a quick minute: What makes them so special? Why does someone entering a new company automatically jump to ask about business cards? Is it pride for the company? Is it something to differentiate you from the person sitting next to you on the commuter rail? Really, it’s all of those things, even though the googled description of a business card is simply that of a card bearing business information about a company or individual (how boring). No… I was on the lookout for something more unique, more impressionable. A more ‘identifying’ characteristic, if you will. I googled some more…. Online, you can find tens of thousands different business card templates from the boring white background and black text, to the blow-your-eyes-out color photos of everything under the sun. Almost all of them are created with ‘function’ and ‘economy’ in mind. Nono. Gable and I needed unique business cards. We needed something with texture, color, and…. A bit of information about us; after all, this is a business. I realized then, that Gable and I were far too traditional for such awesomely-unique business cards and began designing something that would still give away a little information about us, but do it with some flare- and economically of course. I began with the paper (c’mon, you read my first post, it was a natural starting point) and it was harder than it seemed until it was staring me in the face. The Paper-Source is a great company (sometimes expensive, but none-the-less worth it) with a fantastic array of ‘flavors.’ I was a kid in a candy store- only without committing ‘carbicide.’ What color would I choose? That was easy- BLUSH pink, of course. I bought the 15 packs of 25 cards each for $2.25/pack and rushed home in the New England traffic (i.e. I was designing in my head the whole 3 hours, or 12 miles home). Now what? What was important to tell everyone? I guess my name. Poor Gable, but since I’m liable for the tax implications, I’ll just start with my name first. Maybe down the road he can warrant his own cards, full of oil spots and smeared text. Okay, phone number, eMail address, website, check. Logo, check. Wait, really? That was easy! TIME TO PRINT! Gable and I have printed a few note cards and wedding invitations here and there, but never anything of such importance as these business cards! 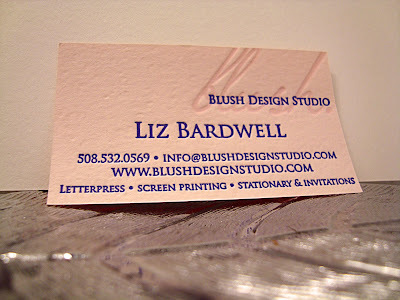 I neglected to mention above that the size of a typical business card is 2x3.5in. Yes, that’s right, a 1200lb machine printing the smallest piece of paper possible. I guess there could be worse requests of Gable- a 1x1in Christmas tag (to come in a later post), a postage stamp rsvp embellishment (also to come later…) or even a little tiny 2 inch yogini stick figure (you guessed it, coming soon. Ha!). Anyway, Gable is a champ, and we got through 250 of our 2-color business cards in about 6 hours. Why so long you ask? Of course, in the middle of moving Gable into our beautiful new studio, his engine had blown up (and by ‘blown up’ I don’t mean literal flames—but it made a big ‘bang’ noise and simply stopped rotating the “big wheel thingy, and now it won’t work!” I called that out to my Husband to try and help; I make up words that are more complicated when I’m frustrated. I could have just said ‘fly wheel,’ but why be proper when I’m throwing a tantrum?) Turning Gable by hand was…. an experience; one that I would rather not repeat. My left arm felt like it had swam across the English Channel, battling the weighty waves, and stopping frequently for a bicep break and cup of tea. I ordered a foot-treadle the very next day. Instead of swimming the English Channel, I would put my right leg through the riggors of the Tour de’France with all the pumping action required to get Gable moving—and it was WORTH. EVERY. PENNY. 2 weeks later, a perfectly polished cast iron stick was delivered in a wooden crate (that looked like could have stored old milk bottles from 1935). It took about 5 min to install with the help of a neighbor, and instantly, Gable could have been on an episode of ‘Pimp my Ride,’ it was such a dramatic addition. Curious how they turned out? © 2013 Flutter Letterpress. Powered by Blogger.